If there was any doubt over whether or not Razer was taking smartphones seriously, I think today should clear that all up. 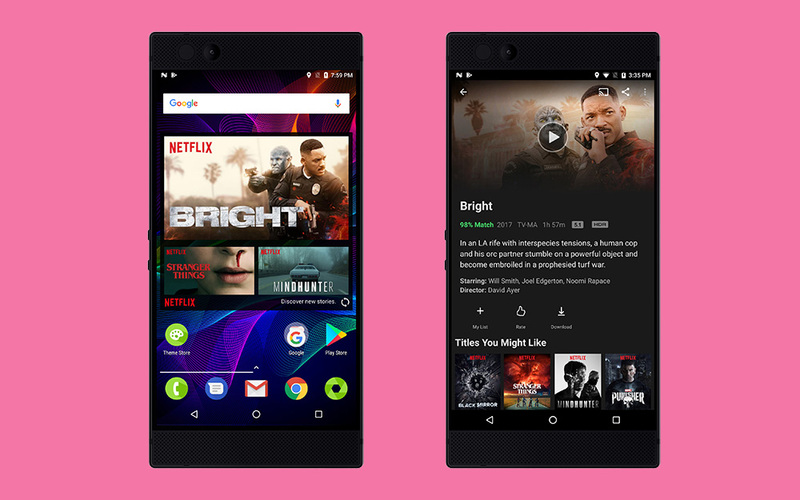 Not only did the company show off a pretty cool Project Linda concept, they also announced at CES this morning that its Razer Phone is getting access to Netflix HDR and Dolby Plus 5.1. This is the first smartphone to support both technologies. As was noted in today’s announcement by Razer CEO Min-Liang Tan, this level of Netflix support enables them to “take full measure of the Razer Phone’s HDR10-enabled display and dual-firing, front-facing Dolby-optimized speakers and THX-certified headphone connectivity.” Few phones are equipped like Razer’s phone. An update will bring in the new goodness here and should arrive later this month. The update includes the Netflix app and a home screen widget, which is kind of obnoxious for those who don’t care about this news. Going forward, this software will come preloaded on the phone.